Who can qualify in Maryland for a sales tax exemption on utilities? If a company is a manufacturer or industrial processor and it meets the exemption requirements, the company can qualify for a utility sales tax exemption. When a valid special exemption certificate is provided to the appropriate utility company, it is like a blanket exemption certificate and all purchases for electricity, gas, and water become purchases exempt from sales tax. Predominate usage is required in Maryland – explained below in detail. How can one obtain the sales tax exemption on utilities in Maryland? A valid exemption certificate Form ST-206 must be filed with the respective utility company. When the exemption is approved, sales tax will be removed from the respective utility bill and no sales tax will be charged. The certificate does not expire nor need to be renewed. Does the State require that an ST206 be completed by a professional utility engineer? Maryland does not require the exemption certificates and predominate usage studies be completed by a professional. It is recommended that a company use a professional for the predominate usage study because the State has little tolerance for inaccurate studies. At risk is denial and sacrifice of future savings. On Your Mark performs and certifies the predominate usage study. The predominate usage states that a meter’s total consumption and utility charges will be sales tax exempt if over 50% of any meter’s consumption, be it KWH, ccf’s, or gallons is used for direct production v. non-production. The study must list each piece of equipment which is used in production and include its annual consumption in KWH, ccf, or gallons. The state tax statute defines production equipment as that which makes a physical change to the nature of tangible personal property. In addition, the predominate usage study must also include a list every item, appliance, and equipment that is not used in production such as lighting, HVAC and office consumption; along with the annual consumption of each item. From this study a determination can be made if the predominate usage requirement is met. 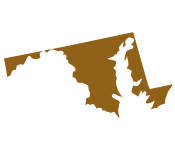 What is the scope of a Professional performing the utility exemption work in Maryland? Entire process handled from start to finish: Once On Your Mark is authorized to proceed on behalf of a company, there is very little or no effort required or time spent by the company. On Your Mark performs the entire exemption service from beginning to end. It is expected that the work is completed and filed within 30 days. Accurate completion of the utility study: The predominate usage study is time consuming and laborious. The lists must be accurate as defined by the Maryland Tax Code and Administrative judicial interpretations or it’s subject to risk of denial. On Your Mark provides over 35 years experience and certifies its studies are timely and meet state exemption requirements. Claim for refund: The statute of limitations in Maryland is 36 months. A refund claim may be filed to recover sales tax paid in a prior period on an exempt utility meter. If a refund is due, On Your Mark vigorously files for and pursues approval of the claim. Benefits of the sales tax exemption on utilities: Typically, a Maryland company will receive 6% savings on the exempt utility once the process is complete. The sales tax is totally removed from the bill. Risk-free Method to Obtain the Utility Sales Tax Exemption: The predominate usage study is completed by On Your Mark and it is performed at no charge. If after evaluation there is no savings to the company, there is no charge by On Your Mark. On Your Mark’s fee only occurs after the company receives savings.